Scope: Edited by UFSC Graduate Program in Science and Technology Education, Alexandria aims to disseminate research papers in the area of science and mathematics education. The journal accepts: original articles targeted at the development of citizenship and at the theory and practice involved in science teaching. Languages: Portuguese, English and Spanish. 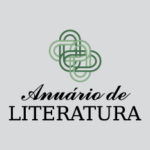 Scope: Anuário de Literatura has the mission to disseminate new and groundbreaking knowledge in the fields of Literature, Literary Theory, and Literary Criticism. It is directed towards literature researchers and professionals. The journal accepts: first-hand original articles resulting from scientific research in the areas of Literature and Literary Theory; original theoretical essays based on literature review; book reviews; and translations of articles and literary texts. Languages: Portuguese, English and Spanish. Scope: Biotemas aims to publish manuscripts in all sub-areas of Biological Sciences and is targeted at researchers and graduate and undergraduate students. Submissions in related areas (Agricultural, Veterinary and Health Sciences, among others) will be accepted only to the extent that they are directly related to the practice or theory of Biological Sciences. Submissions in the education field are not accepted. The journal accepts: articles, short communications and reviews. Languages: Portuguese, English and Spanish. Scope: Boletim de Pesquisa NELIC focuses on publishing academic works from national and foreign researchers on contemporary literature and culture, notably in the Brazilian and Latin-American contexts. The journal accepts: original articles. Languages: Portuguese and Spanish. Scope: Caderno Brasileiro de Ensino de Física aims to promote an effective and permanent dissemination of experiences between teachers and researchers, seeking to raise the quality of Physics teaching both in the institutions that prepare teachers and in the schools in which they work. Language: Portuguese (English: title, abstract and keywords). Scope: Cadernos de Pesquisa Interdisciplinar em Ciências Humanas aims to disseminate interdisciplinary knowledge, by publishing works and research that articulate different areas of knowledge, particularly in the Human Sciences and Arts. 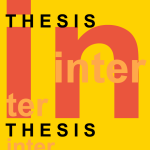 The journal accepts: original articles related to interdisciplinarity. Languages: Portuguese, English and Spanish. Scope: Cadernos de Tradução aims to publish the results of Brazilian and international research in Translation Studies and to follow the debate in this field of inherent interdisciplinarity. It is edited by the Department of Foreign Language and Literature (DLLE/UFSC). The journal accepts: articles, interviews and reviews concerning translation (analysis, history, theory). Languages: Portuguese, English and Spanish. Submissions can be made at any time. Scope: Em Debate is directed towards teachers’, students’ and researchers’ development, seeking to enhance the production of knowledge in the human sciences. The journal accepts: articles, reviews, dossiers, translations, interviews and research related to its thematic areas. Languages: Portuguese and Spanish. 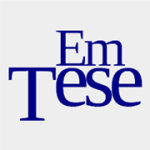 Scope: Edited by students of the UFSC Graduate Program in Political Sociology, Em Tese aims to disseminate knowledge in that area. The journal accepts: original texts – articles, essays, reviews and interviews – from graduate students and researchers in Sociology, Political Science and related areas. Languages: Portuguese, English and Spanish. Submissions can be made at any time. Scope: Encontros Bibli, the electronic journal of library science and information science, has the mission to disseminate new and groundbreaking knowledge in the fields of Library Science, Information Science, Archival Science and related areas, covering technical-technological and human-social interests. It is directed towards researchers, professors, students and other professionals. The journal accepts: first-hand original articles resulting from scientific research in the areas of Library Science, Information Science, Archival Science and related areas; original theoretical essays based on literature review; and book reviews of recent editions. Languages: Portuguese, English, Spanish and French. Scope: Edited by the UFSC Graduate Program in History, Esboços is dedicated to disseminating and debating articles, researches and approaches that enrich the production of historical knowledge. The journal accepts: articles for thematic dossiers organized by faculty members of the History Graduate Program and at the invitation of the Editorial Board, as well as dossiers, articles, translations, interviews and reviews addressing any historical theme or theoretical approach. Language: Portuguese (title, abstract and keywords in Portuguese and English). Scope: Edited by the UFSC Graduate Program in Journalism, Estudos em Jornalismo e Mídia aims to contribute to the advancement of scientific reflection focused on Journalism and its relations with society, the market and the academia. The journal accepts: articles, reflections, reviews, interviews and research reports. Languages: Portuguese, English and Spanish. Submissions can be done at any time. Scope: Supported by the UFSC Center for Ethics and Political Philosophy (NEFIPO), ethic@ is dedicated to publishing original works that demonstrate excellence and relevance to the field of Modern and Contemporary Moral Philosophy. The journal accepts: original articles, reviews, interviews and translations. Languages: Portuguese, English, German, French, Italian and Spanish. Scope: The mission of Extensio is to contribute to the dissemination and promotion of new knowledge in the area of university outreach and extension. The journal accepts: articles, essays, dossiers, reviews, interviews, topical subjects and experience reports, which may be related to a specific discipline or interdisciplinary in their methodology, theorization and bibliography. Languages: English and Spanish. 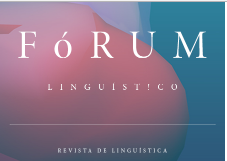 Scope: Launched in 1998 by the UFSC Graduate Program in Linguistics, Fórum Linguístico aims to publish original theoretical or applied research papers in the fields of language and language teaching, welcoming contributions from national and international researchers. The journal accepts: original articles, reviews, interviews and translations. Languages: Portuguese, Spanish and English. Scope: Fragmentos aims to disseminate recent academic papers in the fields of linguistic and literary studies, translation studies, and foreign language and literature teaching methodology, facilitating the exchange of information and debate on the main issues and themes within these fields. The journal accepts: research reports, opinion articles, essays, literature reviews, reviews and lecture articles. Languages: Portuguese, Spanish, English, French, Italian and German. 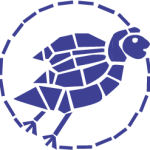 Scope: Geosul was launched in 1986 with the aim of publishing and disseminating research from graduate faculty and students. The journal accepts: articles, reviews, interviews, among others. Language: Portuguese (title, abstract and keywords in Portuguese and English). 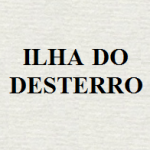 Scope: Ilha do Desterro has the mission to spread academic research results in the areas of English, Literature and Cultural Studies. 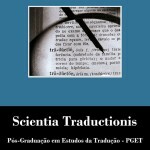 It is edited by the UFSC Graduate Program in English: Linguistic and Literary Studies since 1979. The journal accepts: original articles and reviews in the areas of English, Literature and Cultural Studies. Languages: Portuguese and English. Scope: The anthropology journal Ilha aims to disseminate original articles on topics that favor research and theoretical discussions with a view to the development of Anthropology. It is edited by the UFSC Graduate Program in Social Anthropology since 1999. 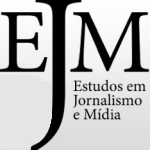 The journal accepts: articles, dossiers, debates, interviews, bibliographic essays, and research notes (preliminary or partial findings reports), and it also includes the list of theses and dissertations defended in PPGAS/UFSC in the year of publication and the schedule of upcoming events. Language: Portuguese (title, abstract and keywords in Portuguese and English). The Insula journal of botany is hosted on the UFSC Journal Portal as a historical record of the University. All issues from 1969 to 2012 are available. Scope: Contributing to the debates on the pluralism of ideas and on interdisciplinarity in the production of knowledge in Physical Education and related areas, Motrivivência constitutes a vehicle for the diffusion of research on issues related to body culture in its interface with the human and social sciences, especially with sociocultural, philosophical and pedagogical approaches. Scope: Mundos do Trabalho is a publication of the National Association of History’s GT Mundos do Trabalho [Worlds of Work working group] in partnership with the UFSC Graduate Program in History. It is dedicated to publishing original works related to the social history of work and other related themes. The journal accepts: articles, reviews, interviews, annotated original primary sources, conferences, debates and event news. Language: Portuguese (title, abstract and keywords in Portuguese, English and Spanish). 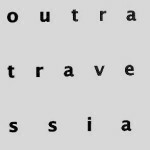 Scope: outra travessia has the mission to disseminate current reflections on topics in the fields of Literature and Literary Theory. The journal accepts: article manuscripts, essays, book reviews, interviews and translations. Language: Portuguese (title, abstract and keywords in Portuguese and English). Scope: Perspectiva aims to disseminate academic works on education, directed towards the theoretical and critical development of themes and advances in the discussions of issues pertaining to the education field and to research produced in Brazil and abroad. The journal accepts: articles, experience reports, interviews and debates. Language: Portuguese (title, abstract and keywords in Portuguese, English, Spanish and French). Scope: Política & Sociedade is dedicated to publishing works that explore issues and problems of political sociology and related disciplines. It selects its content for publication guided by the criteria of academic quality and social relevance. The journal accepts: original articles, reviews, translations, interviews and bibliographic essays. Languages: Portuguese, English, Spanish and French. 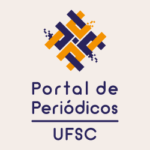 Ponto de vista is hosted on the UFSC Journal Portal as a historical record of the University. Concerned with the inclusive education processes, the journal fostered the exchange of information and the debate on emerging issues involving the social marks of difference. Only the issues from 1999 to 2008 are available. Scope: Principia aims to publish original scientific articles, especially in the area of epistemology, with an emphasis on material of general interest to academic philosophers. The journal accepts: original articles, notes and discussions, critical studies of recent works and bibliographic commentaries. 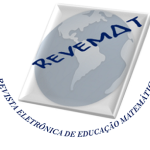 Scope: Revemat, the Electronic Journal of Mathematics Education, aims to promote the deepening of research on topics related to epistemology, teacher education and mathematics teaching and learning, with emphasis on the contributions of semiotic studies to concept learning. Its purpose is to contribute to the advancement of research and the dissemination of knowledge in mathematical and scientific education, in permanent articulation with the teaching practice. The journal accepts: articles, experience reports and translations. Scope: The purpose of the Revista Brasileira de Cineantropometria e Desempenho Humano is to disseminate original scientific research that contributes to the advancement of human movement science with emphasis on kinanthropometry in both its morphological and functional aspects as well as the conditioning factors of physical performance. The journal accepts: original articles, review articles, points of view, thesis and dissertation abstracts. Languages: Portuguese, English and Spanish. Scope: The Revista Contemporânea de Contabilidade has the mission to interact with different audiences and institutions with respect to accounting knowledge, both at a national and an international level, as well as to disseminate and encourage the development of methodologies and procedures in the areas of teaching, research and outreach in accounting activities, and to foster human and professional development within the limits of the discussions and possibilities of Economic and Applied Social Sciences. The journal accepts: original works pertaining to the field of Accounting in general, in the forms of article, review, opinion and interview. Languages: Portuguese, English and Spanish. Scope: The Revista de Ciências da Administração is focused on the dissemination of scientific literature in Management Science and related areas, aiming to contribute to the discussion and development of knowledge in these areas. The target audience consists of researchers, professors and students that develop studies and research on administrative issues. The journal accepts: original articles. Languages: Portuguese, English and Spanish. 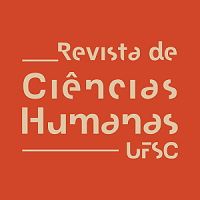 Scope: The Revista de Ciências Humanas aims to disseminate national and international academic works in the field of Human Sciences, favoring interdisciplinary approaches. The jornal accepts: articles, reviews and translations. Languages: Portuguese (title, abstract and keywords in Portuguese and English). Scope: Revista Estudos Feministas aims to disseminate scientific texts on gender and feminisms which contribute to the study of gender issues. The texts can be both related to a specific discipline or interdisciplinary in their methodology, theorization and bibliography. The journal accepts: articles, essays and reviews. Languages: Portuguese and Spanish (title, abstract and keywords in Portuguese and English). Scope: The Revista de Gestão Universitária na América Latina aims to stimulate research and debate on emblematic issues that affect University Management and Higher Education in Latin America. The target audience is made up of higher education institution managers, researchers, professors and students. The journal accepts: original articles. Languages: Portuguese, English and Spanish. Scope: The Interdisciplinary International Journal INTERthesis aims at providing a forum for interdisciplinary studies in the several areas of knowledge, specially the Human Sciences. In that sense, it welcomes original contributions on interdisciplinary themes bridging subjects mainly in such thematic areas as Studies of Gender, Society and Environment, as well as Human Conditions in Modernity. The journal accepts: original articles, translations and book reviews Languages: Portuguese, English and Spanish. 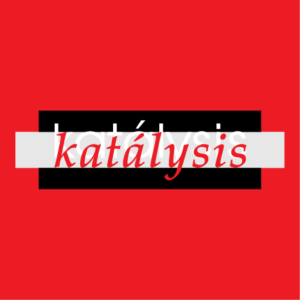 Scope: Revista Katálysis is dedicated to publishing works on current and relevant topics within Social Work, related areas and their interdisciplinary relationships. Each issue focuses on a thematic unit previously defined by the Editorial Board, taking into account its importance within the contemporary social context, but it also welcomes works on other subjects. The journal accepts: articles, experience reports, interviews and reviews. Languages: Portuguese, English and Spanish. Revista Psicologia: Organizações e Trabalho is hosted on the UFSC Journal Portal as a historical record of the University. Only the issues from 2001 to 2011 are available. To see the other issues, access the Psychology Electronic Journal Portal (click here). Scientia Traductionis is hosted on the UFSC Journal Portal as a historical record of the University. Only the issues from 2005 to 2014 are available. Scope: The journal of legal and political studies Seqüência aims to disseminate topics in Critical Legal Theory, with emphasis on the contemporary constitutionalism and its reflexes in the following areas of Law: Law, State and Society; Philosophy, Theory and History of Law; and International Relations. It is edited by the UFSC Graduate Program in Law since 1980. The journal accepts: original articles, research reports and reviews. Languages: Portuguese and English. Escopo: Publishes technical-scientific production in health and particularly nursing. 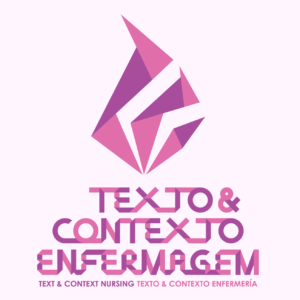 Journal of the Graduate Nursing Program at the Federal University of Santa Catarina. The journal accepts: original articles, experience report, reflection and review. Languages: portuguese, english and spanish. 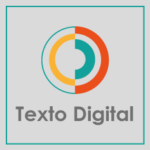 Scope: Texto Digital aims to provide a forum for publication in the fields of Literature, Linguistics, Education and Arts, without favoring any specific critical schools or methodologies. It is edited by the Center for Research in Informatics, Literature and Linguistics (NuPILL), linked to the Graduate Program in Literature and the Department of Vernacular (Portuguese) Language and Literature from the UFSC School of Communication and Arts. The journal accepts: articles, interviews and reviews. Languages: Portuguese, English, Spanish, French, Italian and Catalan. Submissions can be made at any time. Scope: Textos de Economia publishes articles on all theoretical affiliations of economic sciences. The journal accepts: articles, interviews and reviews. Languages: Portuguese, English and Spanish. 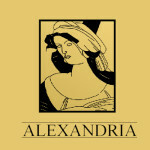 Travessia was published until issue 39 (1999). Later it was continued by outra travessia. Scope: Working Papers em Linguística aims to foster and encourage research within the UFSC Graduate Program in Linguistics, as well as to stimulate and promote the publication and dissemination of research results, with a view to their insertion in the national and international scientific community. It is edited by the UFSC Graduate Program in Linguistics since 1997. The journal accepts: articles, interviews, essays, translations and reviews. Languages: Portuguese and English. Scope: Zero-a-Seis is dedicated to the dissemination of academic works on Early Childhood Education, seeking to expand knowledge of the topics and discussions in the education field and to promote the exchange of research produced in Brazil and abroad. It is edited by the Center for Studies and Research on Early Childhood Education (NUPEIN/CED/UFSC). The journal accepts: articles, reports, interviews, reviews, thesis and dissertation abstracts. Languages: Portuguese, English, Spanish, Italian and French.